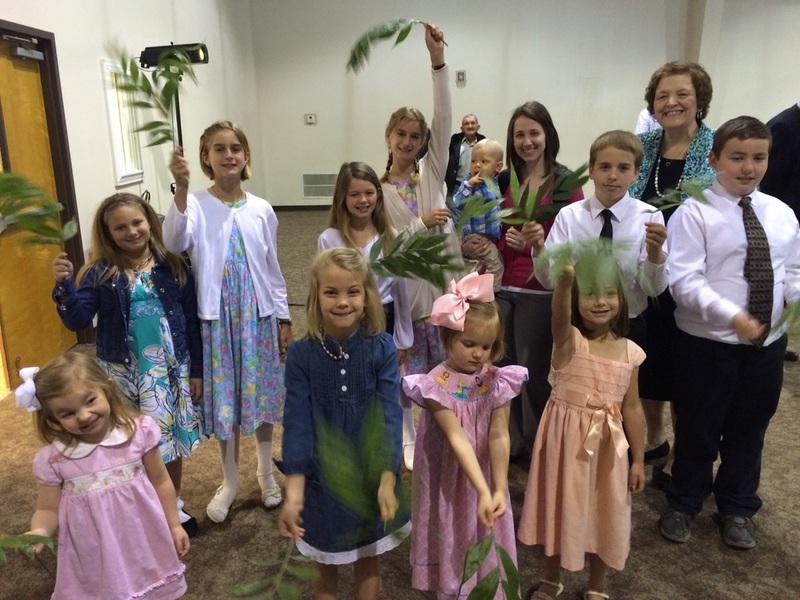 Children will begin the service waving their palm branches. The Sanctuary Choir will present the musical, Victor's Crown. All children are welcome to participate in the Processional. 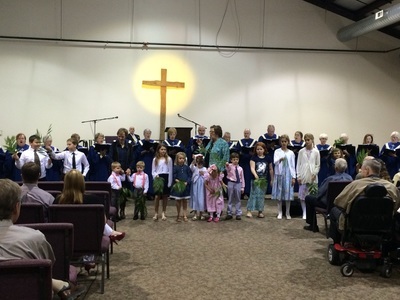 Kids' Choir will present the special music! Kids in Grades 1-6 will present selections from "The Big Inning!" Come and worship with us. You will be blessed! The Youth group will host a Fundraiser luncheon after the service. Regular Rehearsal is at 6:30 p.m. Extra rehearsals are at 5:30 p.m. and other scheduled times. ​*Preschool/Kind. Choir meets during Mission Friends at 7 p.m.
We had a cake with candles. The children sang "Happy Birthday to Jesus." 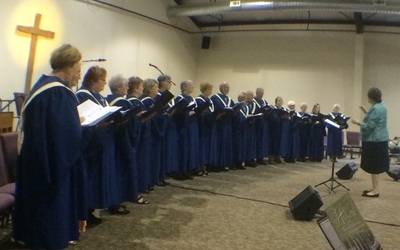 The choir also sang "We Wish You a Merry Christmas." The picture at the top of the page is from the program. "A Country Christmas (with a little City Twistmas)"
The kids did a spectacular job!